Huilo Huilo - Bikepacking for Beginners from Robohorse TV on Vimeo. 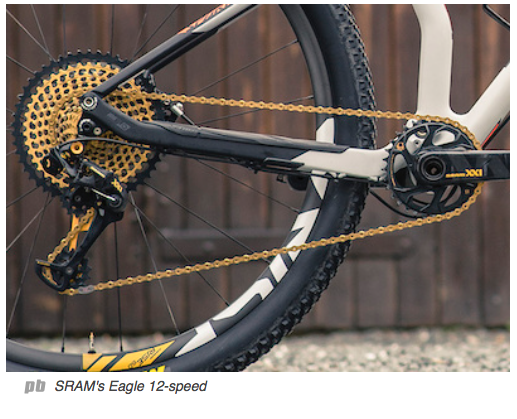 SRAM's 12-speed Eagle proves that a one-by drivetrain can match or better the range of a multiple-chainring transmission, which in turn, has doused any hopes that the front derailleur's smoldering embers will ever be rekindled. Eagle was a must for the Chicago-based parts maker, because its premier XX1 ensemble could not match the range of Shimano's sharp-shifting two-by drivetrains, and descriptors like "virtually," "similar to," or "nearly," are not the vocabulary of a winning team. The addition of a 50-tooth cog to its 10 by 42, eleven-speed cassette provides a 500-percent gearing spread, which exceeds Shimano XTR and XT's ranges and thus, should silence all doubters, even the staunchest two-by holdouts in Germany. That twelfth cog, however, may have consequences that reach beyond range and MSRP. If you rent a bike from Citi Bike in New York this week (and look carefully) you might notice something new: some of the bikes are now made in Detroit. The company that manages the bike-share program—along with many of the other major bike-share networks in the country—has decided to start manufacturing bicycles in the U.S. 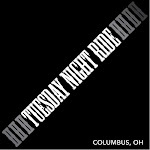 In part, that's because bike share is growing quickly, and Motivate, the company that runs the programs, wanted to be able to respond equally quickly with production. As recently as two years ago, bike share was struggling; Motivate, then known as Alta, was on the verge of bankruptcy, and it wasn't clear if fledgling bike-share fleets would all survive. Executives from Equinox and Related took over the company, renamed it, and turned things around.